Welcome to Digital Digest! As is typical, this is probably one of our lightest news weeks of the year, but we're here anyway with your news, a few great online deals for Black Friday weekend, and a review of CHiPs '99, the reunion movie based upon the classic series. Let's get going! 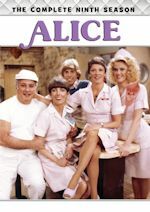 According to TVShowsOnDVD.com, Sony will be bringing us two new MOD releases in the new year, supposedly on January 1. Among those releases are the I Dream of Jeannie reunion movie I Dream of Jeannie: 15 Years Later and Charlie's Angels - The Complete Fifth Season. Of course, the fifth season of Charlie's Angels was previously released as part of the traditionally manufactured Charlie's Angels - The Complete Series, which was released in September. Last season, ABC aired (very briefly) the drama Pan Am, which was not nearly as successful as the network had hoped... but now, Sony is breathing new life into the series by releasing Pan Am - The Complete Series on DVD. The set is scheduled to be released on January 29 at a $30.99 MSRP. Since we've got such a light news week this week, we'd feel irresponsible if we didn't give you a glimpse at some of the nice deals going on at amazon.com this weekend (note that all of these are subject to end at any minute, so act on them quick!). You can find many complete series sets for around (or even under) $50 right now, including The Andy Griffith Show, Route 66, Hogan's Heroes, MacGyver, Get Smart, Gilligan's Island, and more! I picked up a few of these myself already, and they are a great deal! Tuesday (November 27) is a light release date, but it does include Hot in Cleveland - Season Three (review) and Perry Mason - Season 8, Volume 1. Attention all units: the lights are flashing, the bikes are roaring and after 15 years, there's a lot more freeway to patrol! But there's not so much interstate that California Highway Patrolmen Ponch and Jon can't cover it when they again go wherever the rubber meets the road in CHiPs '99. Larry Wilcox returns as straight-arrow officer Jon Baker and Erik Estrada reprises his role as free-spirited Frank "Ponch" Poncherello in this 15-year reunion that adds a '90s sensibility to the can't-miss elements that made the 1977-83 CHiPs TV series a fan-pleasing success: cool motorcycles, freewheeling fun and widespread disregard for the California traffic code. This time, that disregard turns dangerous. Ponch and Jon confront an automobile hijacking ring that may be the ultimate in road rage! CHiPs '99 premiered on TNT on October 27, 1998. It was directed by Jon Cassar (24). The teleplay was by Morgan Gendel. The story was by Rick Rosner and Morgan Gendel. It was a Rick Rosner Television Production. Rick Rosner created the original series. Erik Estrada and Larry Wilcox also served as executive producers, along with Christopher Morgan and Rick Rosner. Jon Baker is now a Captain with the CHP. He's married to Sandy (Stacie Randall), who is part of the CHP team as an Officer. Ponch returns after a 15-year retirement. He is a widower with a 9-year-old son named Frank, Jr.. Joe Getraer (Robert Pine) is now the CHP Commissioner. Artie Grossman (Paul Linke) works in investigations as a detective. Bruce Nelson (Bruce Penhall) is promoted to Sergeant. Brodie Greer also returns as Officer Barry "Bear" Baricza. New characters include Paul Korver as Officer Peter Roulette and David Ramsey as Officer Sergeant McFall. Celebrity appearances include Stephen J. Cannell as Bendix, Garry Marshall as a tour bus operator, Judge Judy Sheindlin as herself, and Johnnie Cochran as himself. Warner Archive Collection's manufactured-on-demand release comes in an eco-friendly Viva case. The cover art features a photo of Larry Wilcox and Erik Estrada, which was also used as the film poster. There are two small photos of Jon and Ponch riding their new BMW motorcycles on the back cover. A synopsis of the movie, the production credits and the DVD specs are provided. The DVD-R disc has the same photo of Jon and Ponch that is used as for the cover art. A generic Warner Bros. menu is used. It has a Warner Bros. water tower in the background. There are only two options on the menu for Play and a Home Video Promo Spot. The promo spot runs 30 seconds and was used when the movie was released on VHS back in 1999. Chapters are placed at the appropriate places. There are no scene selection menus. The video and audio quality is very good. This is a nice transfer of the movie. It's presented in its original full screen 1.37:1 format. It has a total running time of 94 minutes. The picture is very sharp and the colors are good. They shot it entirely on location in California, so there's a lot of nice scenery. It's noted that this disc is expected to play back in DVD video "play only" devices, and may not play back in other DVD devices including recorders and PC drives. The audio is a Dolby Digital Stereo track. There are no problems with the audio. Steppenwolf's (or possibly a cover) Born to Be Wild and Randy Newman's I Love L.A. are used in the movie. Stacy Widelitz provides a nice music score, including several new variations of the CHiPs theme. There are no subtitles or closed captioning on this release. 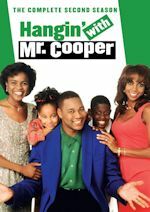 TNT had aired reruns of the original series for many years at the time, so they were a natural choice to air the reunion movie. 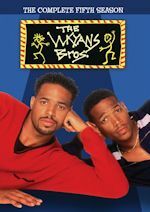 I had only watched it once on the night it originally aired in 1998. It's nice to be able to revisit it again on DVD. The movie is very fun and entertaining. It captures a lot of the spirit of the original series. They did a good job of blending the original characters with the new ones. It was nice to see these characters 15 years later. 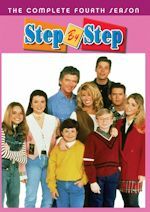 I only wish they were able to bring back more of the original cast members, such as Lou Wagner, Brianne Leary, Randi Oakes and Michael Dorn. 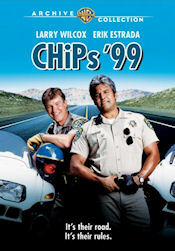 The storyline of the movie is similar to a typical episode of the original CHiPs series. There were some nice action scenes, stunts, and explosions. I thought maybe the movie could have used even more action, but this was a pretty low budget movie that was made for cable. The movie also has some heartfelt drama and light comedy. The scene where Jon takes his neighbor to small claims court on Judge Judy for his neighbor's dog going on his lawn was funny. Johnnie Cochran has a memorable quote about poo. It's been over four years since the second season of CHiPs was released on DVD, so this is a welcome release for fans of the series. There's been speculation that music rights are holding up the third season. Let's hope those issues can be resolved. It would be great to have the final four seasons available on DVD through the Warner Archive Collection. Until that happens, pick up this movie to watch Ponch and Jon ride again! Why You Should Follow Him: Anybody who watches SNL these days knows that each and every episode can be a complete "grab bag," with some sketches that are really good and others that really stink. And honestly, that has been the way it has been with the series since it debuted nearly 40 years ago. But one constant source of "good" in each and every episode is the Weekend Update segment, which Meyers began hosting with Amy Poehler in 2006 and became the sole anchor of in 2008. What is great about his Twitter feed, though, is that he manages to put his wit and humor that he puts in Weekend Update each and every week on a continuous feed that fans can follow 24/7.